The sherry finish does wonders for what would otherwise be an immature rye whiskey. Barrel Finishing is truly a craft, and Steve and Paul Beam are proving to be excellent craftsmen. 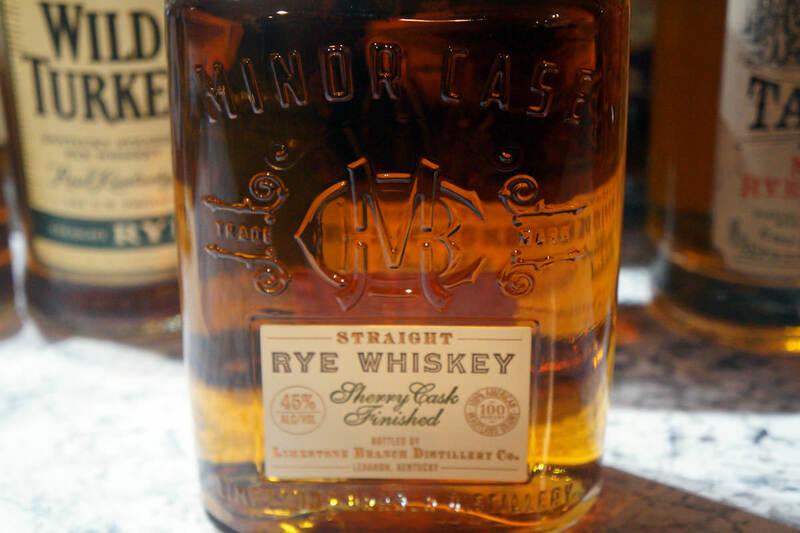 Minor Case is a new, limited edition Rye Whiskey from Limestone Branch. 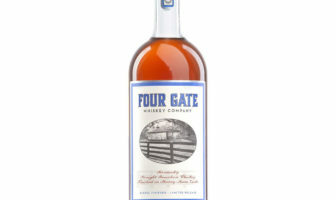 The whiskey itself is sourced from MGP, and is two years old, but is then finished a minimum of 6 months in Sherry casks. 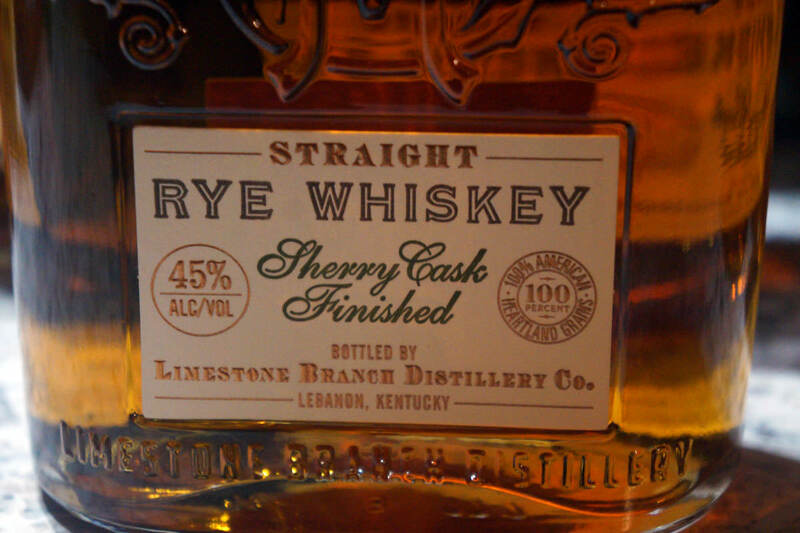 While there are different mash bills for MGP rye, this one reportedly uses 51% rye, 45% corn, and 4% malted barley. 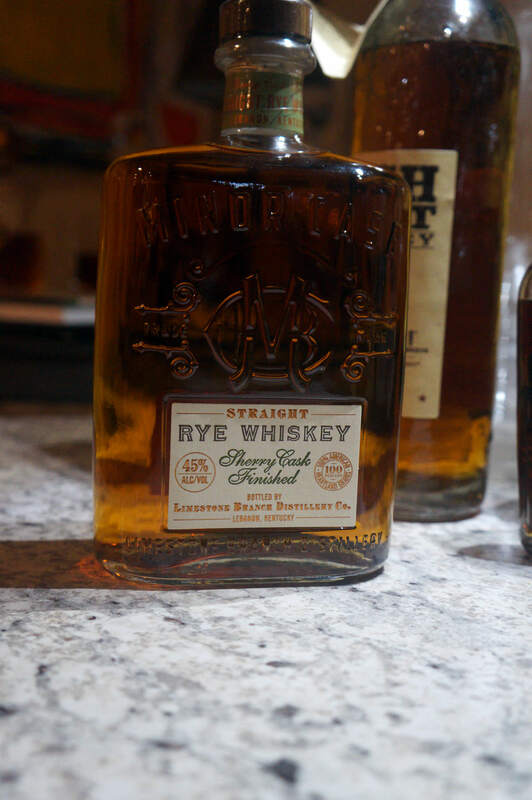 Limestone Branch is partially owned by Luxco, and that is particularly relevant in this case (no pun intended) because Luxco recently released Ezra Brooks Straight Rye, which is also a 2 year old MGP rye whiskey, though it has no secondary barrel finish. So a comparison of these two presentations is inevitable. Wow. This is my favorite bottle of the year. 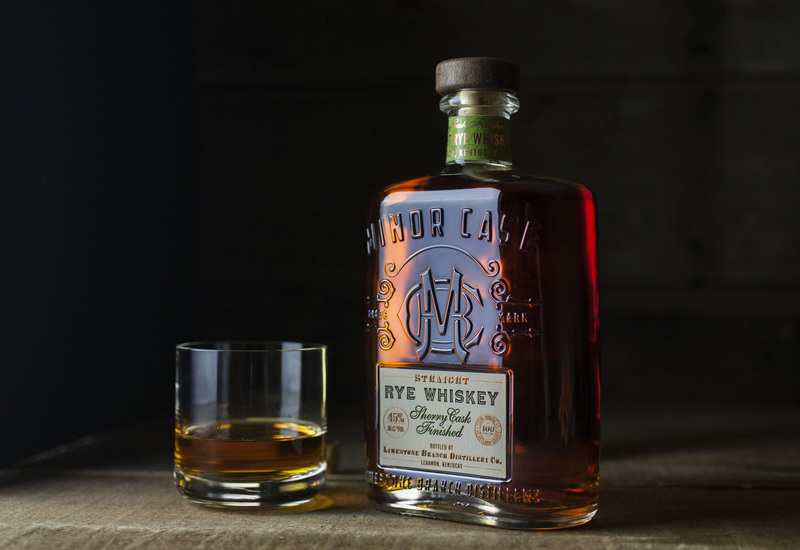 Minor Case’s historic crest is embossed on the flask-style bottle. There’s also a letterpress label and a cork stopper. Simply put, it looks fantastic. Medium amber, fairly clear. This is both young and likely well-filtered, at least from the initial dump. Despite the appearance, it is apparently non-chill filtered. There is a definite sherry note to the nose, but that is secondary to toffee and baking spices. A hint of rye pepper and citrus peel are present as well. Initially, I expected this to taste a lot like the Ezra Brooks. By that, I mean to say I expected it to taste young and immature. 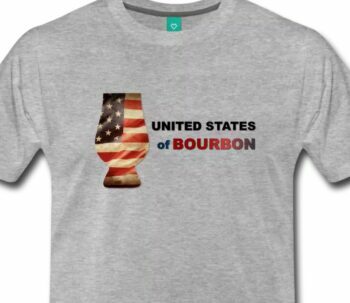 The barrel finish does wonders here, however, and it’s far from that. In fact, it’s pretty tasty. The regular MGP goodness of lemon zest, black pepper, and candied fruits are present, but a wonderfully boozy sherry finish quickly follows up with a hint of caramel and toffee. The finish of this is probably on the short-to-medium range, and without the sherry barrels, would probably be very dry and extremely short. But the sherry notes continue through and linger a bit after the rest of the typical rye notes have faded. 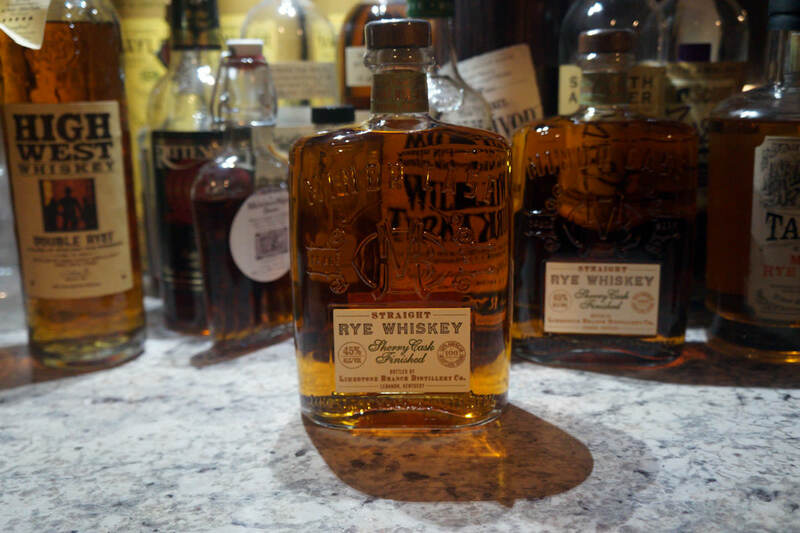 There isn’t a ton of oak or barrel tannins, which is to be expected in such a young whiskey. The downside to the relatively young age is prevalent on the mouth feel, however, as this is a really thin sip on the tongue, which no doubt contributes to the ever-so-slightly truncated finish. This is a great example of how a secondary finish can do wonders for what is otherwise a lackluster spirit. Comparing the 2 year Ezra Brooks to this is night and day. I scored that Ezra Brooks an 81, and didn’t recommend it. This one is much better. 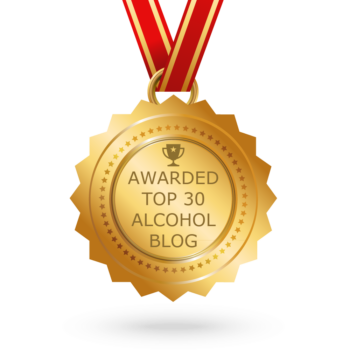 And while its lower proof and thin mouth feel probably don’t lend it to being a great mixing whiskey, it drinks exceptionally easy straight up. ModernThirst.com score: 87 out of 100.